Every now and then, you may hear stories about remodeling projects or renovations that went off the rails, completely disrupting the homeowners’ lives. It doesn’t have to be that way when you remodel your Naples-area home. Here are some tips that can help you survive—and even thrive—while creating a brand new home before your eyes. Choosing the right remodeler is perhaps the single most important decision you’ll make when renovating your home. When you’re confident you have a qualified and trustworthy group of individuals at the helm, your project will be a lot more stress-free. Here’s a helpful post outliningthree key questions to ask before selecting a Naples-area remodeler. Remodeling your home is a fairly involved process, and there’s often more to it than you might expect. Understanding what needs to happen and when it needs to happen can resolve some of your concerns before the sawdust begins to fly. Check out our Frequently Asked Questions for helpful information that can help you understand what to expect. Things will be a little different around your house once construction starts. There may be whole rooms you won’t be able to access for a few weeks. Think about what you may need that’s currently in that room. If it’s your kitchen, you’ll want to come up with an alternative space where you can prepare simple meals and make your coffee or tea in the morning. Pack carefully anything that needs to be stored—and label the boxes just as carefully in case you need to use something in the interim. A bonus: effective labeling makes it easier to put things away later! We’re only partly serious about this, but many homeowners actually do schedule short times away (even if it’s just on the weekends) to take a break during the construction phase from what looks like chaos (it’s really not—we’ve done this a time or two!). 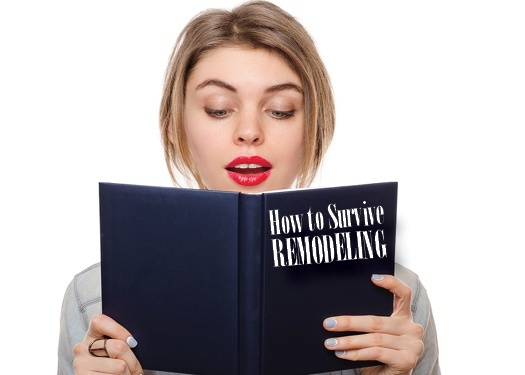 A remodeling project isn’t just “survivable”—it can actually be a fun process if you’re prepared and ready to be a little flexible for a few weeks.